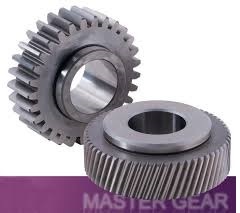 Willrich Precision offers Master Gears. Helical Gear Masters that conform to ISO, DIN, BS, AGMA, and JIS standards. Gear artifacts are used to verify lead and the involute of gear testing and calibration machines. Master gears and artifacts can be supplied from 6mm up to 300mm. Willrich Precision also offers master worm gears, replicas of internal helical master components, and helical splined electrodes in copper material.